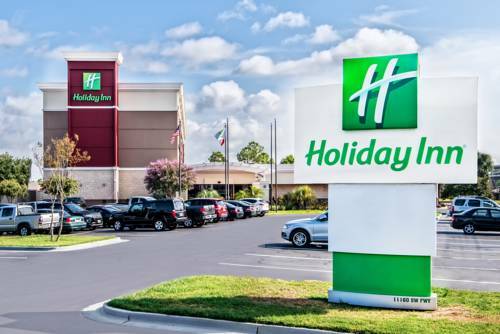 Welcome to your home away from homeOur newly renovated Holiday Inn Hotel Houston - SW - Near Sugar Land promises a warm welcome, efficient check-in and upgraded amenities. Our property offers travelers easy access to the best of Houston and Sugar land, so you can travel beyond the area with ease. Hosting an event is a breeze since we offer over 6,800 square feet of flexible meeting/banquet facilities. If you need a space to prepare for an event or finish paperwork, take advantage of our 24 hour Business Center. . . Southern hospitality meets sophisticated cuisine at our full-service App8tite Bar and Grill which features a daily Happy Hour and Chef Special. At night, enjoy exercising at our onsite fitness center or take a dip in our sparkling indoor and outdoor pools. We hope to welcome you soon. Located inside the lobby, App8ite Bar and Grill is open from 4pm-11pm Sunday-Thursday and 4pm-12pm Friday and Saturday. App8ite Bar and Grill also features a daily Happy Hour from 4pm-7pm daily! Children's program - Outdoor & Indoor Swimming Pools. The best mall located in Sugarland, 2.5 miles from the hotel. Offers top shopping experience.